English writing will follow after Japanese. at the Nihonbashi Mitsukoshi Main Store. Yoshi and I will dance in formation with some other couples. 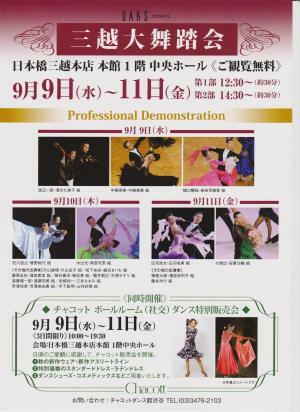 There will also be top professional solo demonstrations. I hope you can find time to come to the event.